We are happy to share the band Foltin is coming to Bulgaria for WakeUp! Bulgaria 2016. 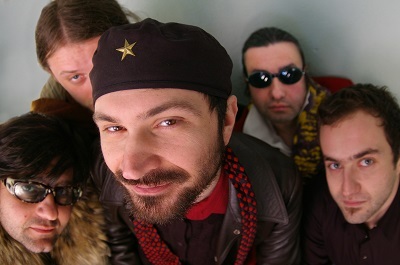 Foltin (Macedonian: Фолтин) is one of the most important Macedonian bands, and has existed since 1995. Foltin’s music is hard to define, sounds unpredictable and challenging: surreal, passionate and witty, dynamic and full of surprises, blending many different music genres: Electro acoustic, Alternative rock, Funk, Ambient etc. Even though they use standard musical elements, their approach in creating the atmosphere is unpredictable and above all, original. Live performances made Foltin famous, they are often theatrical (cabaret-like) and often turn into real performances.